I hope you're all having a bomb SuNdAy FuNdAy!! 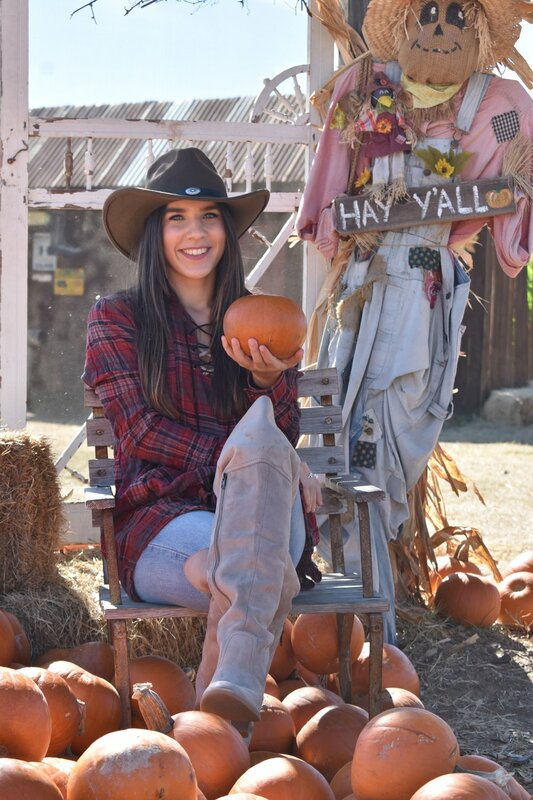 I've literally been bumming out all day just waiting for my Pats to play this evening #patsnation ;) Anyway back on subject, last week I went to a Pumpkin Farm like the basic blogger I am and wanted to share my shenanigans with you guys! This gorgeous, pumpkin filled paradise is Halls Pumpkin Farm! If you live in the DFW area and haven't checked them out you need to ASAP! They literally have the freaking cutest pumpkin displays and pumpkins I have ever seen. I also adore the fact that you can take pictures here at no cost, they could definitely be charging for that! After you have done all the pumpkin displays they have tractors that you can get pictures with as well. I loved the green one but the red one takes the win because you can actually climb up there and pretend you know how to drive that thing ;) FYI I actually do know how to drive a tractor though, thanks Papa! Obviously I loved the pumpkins but purely from a model/blogger point of view this truck was by far the BEST thing to take pictures with! It is so aesthetically pleasing and just made every shot look so bomb! After I had done a bazillion pictures I did actually go load my wagon(yes, they let you shop for your pumpkins with a wagon) with three mini pumpkins. You can barely see them in there and yes I could have just carried them but I was so not about to miss my opportunity to pull an adorable wagon. As always if you have any questions or comments feel free to leave them down below. Don't forget to follow me on all my socials so you never miss any fun behind the scenes action. I am literally that person who waited until yesterday to pick my pumpkin don't judge me okay! Life is super busy right now but I finally got around to it yesterday and went to this adorable little pumpkin patch. They had GORGEOUS pumpkins in all shapes and sizes and were very reasonable on their prices as well. I found a perfect little snowball pumpkin and it only cost me $4. Im gonna paint him, and yes it is a he, tonight just in time for the trick or treaters. Anyway here are some pics I got in the patch!